Thank you! – A huge thank you to the Winterhaven families who brought in coffee, treats, lunch and dinner to our staff last week during conferences. We really appreciate all the work that went in to providing these items for us! 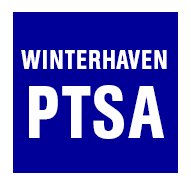 Winterhaven apparel – Our new Winterhaven t-shirts, baseball shirts and sweatshirts are ready to be ordered. We have a new logo and all items will be made with nice, soft cotton. The order form is at the bottom of this newsletter for your convenience if you are able to print it. There are also forms in the office. Apparel will be delivered to the school office before Winter Break. The deadline to order apparel is Tuesday, November 29. Chicken nugget update – The Monday daily favorite of chicken nuggets will not be available for the foreseeable future due to a nationwide shortage. It will be substituted with a BBQ chicken flatbread sandwich. We apologize and hope to get it back on the menu as soon as possible. PTSA Coffee Chats – Please join us for free coffee, snacks, guest speakers and more. Stop in to get connected to the Winterhaven community. Shamrock Run - Join the Winterhaven team for the annual Shamrock Run. Information can be found at the website: http://www.shamrockrunportland.com. If we get enough participants we can raise PTSA funds while keeping our bodies moving! The event is on Sunday March 19, 2017 and register for team 8705.Contact marisha.childs@gmail.com. Parents and guardians of Franklin neighborhood 8th graders - Franklin's counselors will be meeting with our 8th graders to choose classes for next year on the morning of December 9th. Don't worry, they will come home with a booklet and form needing your signature to OK their choices. Please take the time to go over things with them and get those papers back to Franklin by January 10th, at their Discover Franklin Night. Even if you are planning on going to a different school than your neighborhood school (Franklin in this case) please fill out the paperwork as a plan B (or C); it's much easier to drop your student from the courses they want to have than enroll them late into those classes. Filling out your class choices does not commit you to attend Franklin; it just lets you get the courses you want if you choose to go there. For the rest of you going to other high schools, usually only Grant and Cleveland will come to us. Franklin has been much earlier than other schools in the past couple years. Cleveland has come around April in years past and Grant tends to be somewhere in between. If your neighborhood school is one of the others, they will send me the paperwork and I will sit down with your student and talk them through it before they take it home for your signature. Raphael House donations – Our kindergartners will be collecting items for the Raphael House of Portland. The Raphael House of Portland has been offering shelter to women and children fleeing domestic violence since 1977. Our kindergartners have been collecting donations for the Raphael House for thirteen years running. They always show great excitement and joy when giving to those in need. I’m always impressed with how much our Winterhaven community gives. Please help our kindergartners help others. Priority Items – all donations need to be NEW. Kitchen supplies - silverware & dinnerware sets, cooking utensils, knives, pots & pans, mixing bowls, Pyrex baking dishes, etc. Household items - twin sheet sets, toddler sheet sets, towels, washcloths, new pillows, etc. Coats, Robes, & pajamas + Gloves, Hats, & Scarves - all sizes for women, children and teens. Teens - headphones, Bluetooth speakers, multimedia art supplies, backpacks, gift cards, etc. Personal care - shampoo/conditioner, blow dryers/curling irons, deodorant, soap, lotion, toothbrushes & paste, Chap Stick, razors, etc. General shelter supplies - batteries, HE dry laundry detergent, bleach, dishwashing liquid, scrubber sponges, Ziploc bags, 33 and 13 gallon light duty trash bags. For a more detailed list of needed supplies and more information about the Raphael House please visit their website at www.raphaelhouse.com. Also, please look for our kindergarten flyers that are posted throughout our school. Collection boxes are located in the hall by our kindergarten classroom. We will collect items through Thursday, December 8th. We will begin collecting items on Monday, November 28th. Please help us get a quick start! Please contact Dave Huckaba (dhuckaba@pps.net) with any questions. Thanks for everybody’s help & support!! !